1 – My darling friend Rachel just launched an interior photography course, and it’s unlike anything I’ve seen in the past! It’s definitely an investment, but if you’ve had your mind set on learning your camera, how to edit and ultimately to streamline your photography process, this course is for you! There’s over 10 hours of video courses, workbooks, cheat sheets and more! She’s offering $100 of the course through midnight tomorrow. You can learn more about it here. 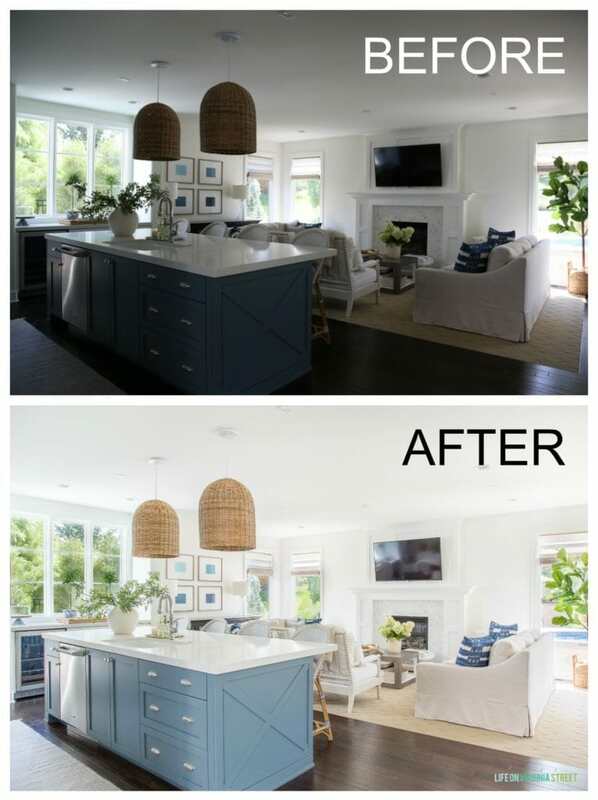 Her principals show how I take an original image below to turn it into the “after” shot with minimal effort required! My next set of items are part of this flatlay. 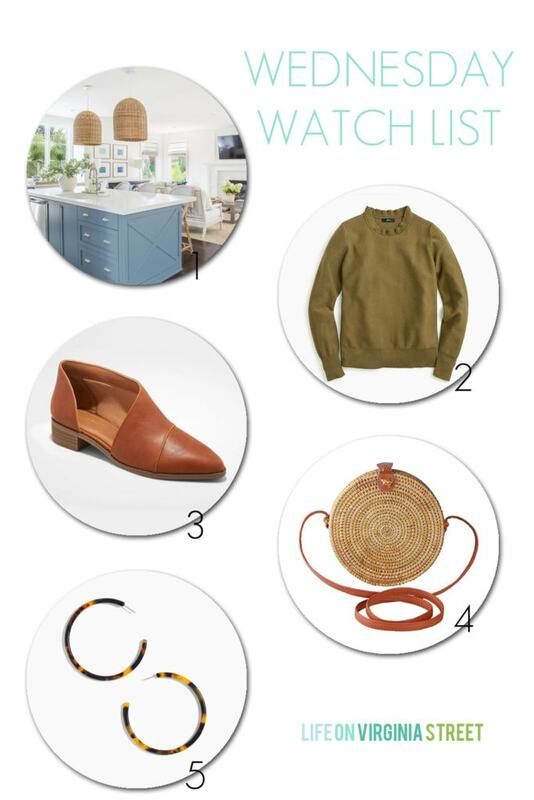 Most of them are noteworthy and I wanted to discuss a few of the items in details. But I thought it would be helpful to see how I styled each of them! 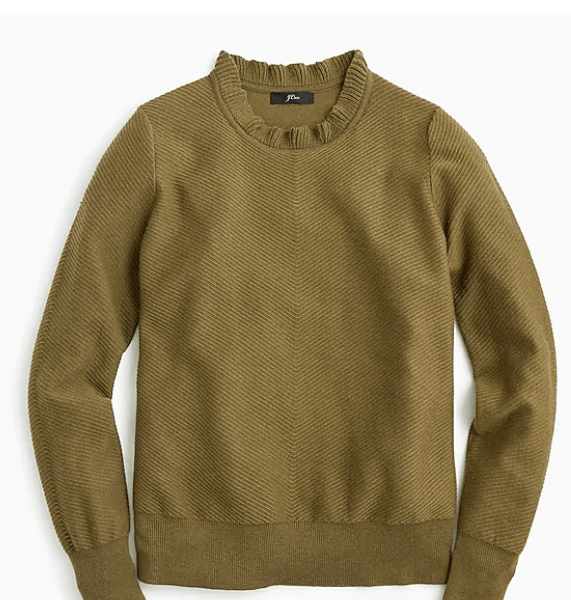 2 – I shared this ruffle neck sweater in my last sale post but I wanted to mention it again now that mine has arrived. I love the fit and subtle chevron detail on the body. The ruffle neck is super cute and not overwhelming or obnoxious. It fits true to size and comes in five colors! 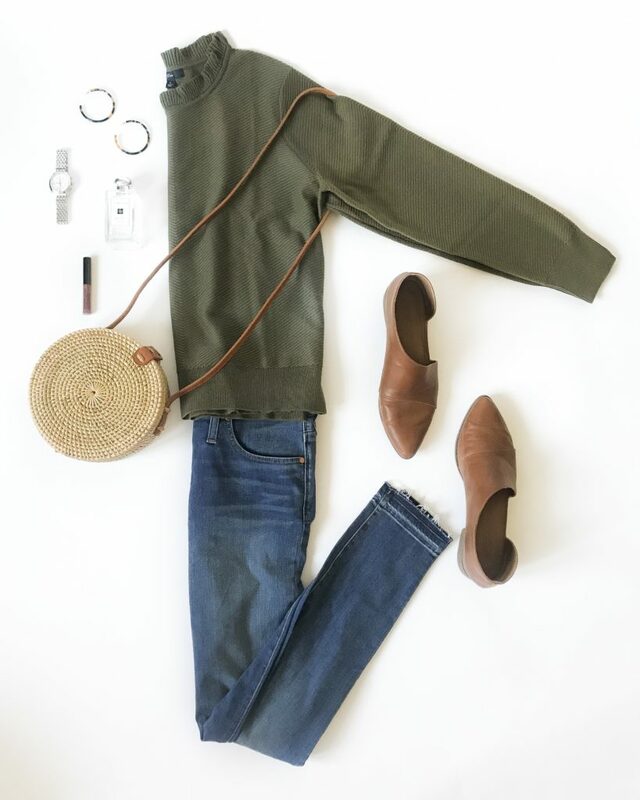 It’s definitely a top favorite for fall! 3 – These cut-out booties actually made my Wednesday Watch List late last winter and then they sold out nearly the same day. I’m not exaggerating when I say I wore them nearly every day through late winter and early spring. They are a designer dupe for a pair of Free People booties (that run close to $200) and these are under $35 – and they have over 600 positive reviews! I’m happy to report that they are now back for fall, fully stocked, and in four colors! I love the cognac ones so much, I’m thinking of getting the black or tan now! 4 – I was worried the basket bag trend would die with the summer months. Thankfully, I’ve seen so many cute fall outfits lately with bags that look just as much like fall as they do summer! 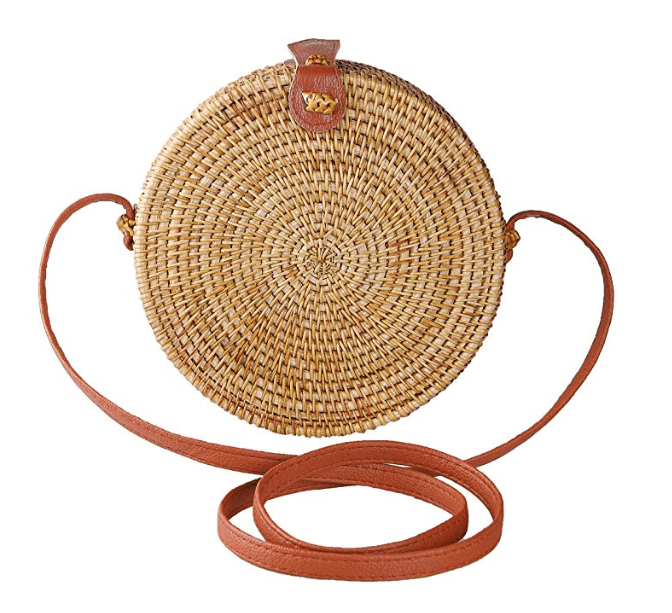 This darling rattan bag is a great price and looks like much more expensive designer versions. I was really impressed with the quality when it arrived! I actually bought this bag (same bag just a different seller) but it sold out already. I thought it was worth mentioning so you could see more reviews if you’re interested! One of my favorite features is that it can be worn crossbody! 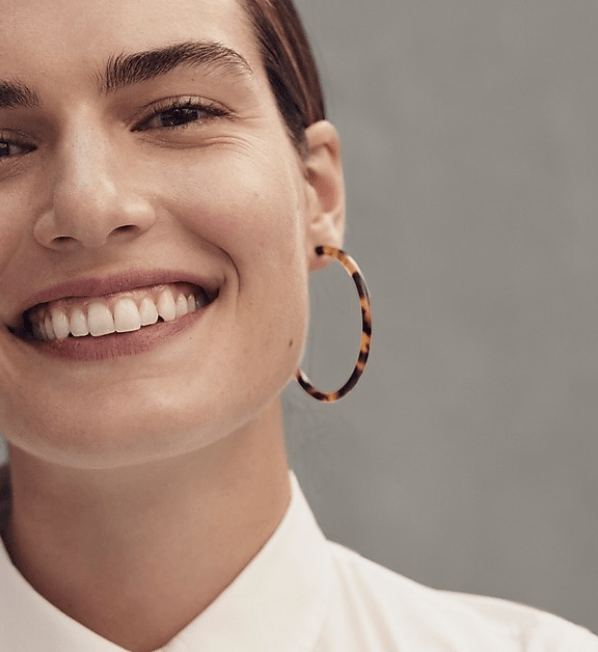 5 – If you don’t already own these tortoise hoops, I can pretty much guarantee you’ll love them. 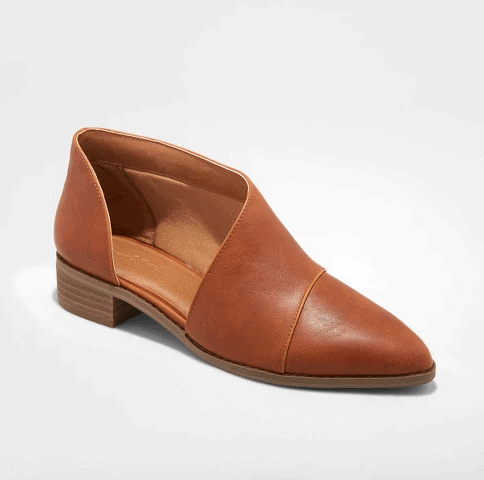 They are the perfect fall staple and I get asked about them everywhere I go! They are lightweight and easy to wear with virtually any outfit! Highly recommended! I have this necklace as well and it’s an easy one to wear when I don’t want big earrings on.